Holy Moly Mount Laurel! You are still a hottie! Is it your award winning schools? Your won’t break the bank taxes? How about your undeniable convenience to multiple major highways and public transportation for the commuters dream? I mean the variety of choices and options is limitless! But you know what is not here? Inventory. Inventory is at a low- but this is not a bad thing! This means there are more buyers than there are homes to be sold, which is to be expected! Why would you want to leave a town that truly has it all? As of the end of the Memorial Day weekend almost 40% of the available single family homes in Mount Laurel are under contract already, and as the prime real estate season gets under way I am sure this number will continue to increase. So this is the time my friends if you were on the fence about selling. There are buyers anxious to get the perfect home in your area. It is a hard decision to make, trust me I know too well being a recent down sizer myself. But the trends are showing an increase of mortgage rates which historically changes that available buyers. With that in mind, don’t miss your moment. Nothing is more bothersome than scrolling through home photos and admiring all the design work, moldings, layout, etc. Then you get to the bathroom, and there it is. The porcelain thrown staring right at you, wide mouthed and open. Stop! Put the seat down please! And lets be clear, this is not a lesson in manners, this is a lesson in how to stage your home to make it desirable to the naked eye. There is medical proof to show the slightest disturbance in a photo can brand a person with a negative thought. It sounds silly, yes, but it is true. Images, be the image itself or the angles play into the psyche, and leave lasting impression. Do you want that impression to be known “Beautiful house with the open John”? So take some time before the photographer arrives and walk room to room. Make sure beds look tidy, towels are straight, blinds are even, and dressers/vanities are clear of products. Put toys away as much as your possibly can and put laundry away…or hide it in the closets. 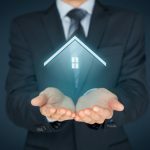 This is not only for playing into the psyche of a buyer envisioning themselves in a new home, but also for a sellers safety and privacy. Along with that we all also suggest removing personal photo’s. Like I said, you want a buyer to come in and see this as their next home, not admire your wedding photographs or know what type of deodorant you prefer. So take the time to consider these small details. Your home photos in most cases are your first impression to a buyer, let it be a positive one. So if you read the previous article about getting started on buying a home, you are anticipating the next steps in the home buying process. So plain and simple, here they are! You have found your perfect home, and hopefully your equally as perfect realtor has negotiated and got you the price you wanted. Now, they next step is moving forward with contracts. Contracts will be drawn up, in most cases by the listing agent. You, the buyer, will then review, have any changes made, and sign. At this point the seller then signs as well, and you enter what is called a “Attorney Review Period”. This is three business days from when all parties have signed. During this time either party, for any given reason, can change their mind about moving forward. Also, if you are buying a home in “as-is” condition, this is when you would want to have any inspections done. The reason for this is it is the only time to truly understand what “as-is” really IS, and therefore if you are unhappy with the results you can get out of the contract without penalty because you are in the 3 day window. Now, where it can get tricky is if either party uses an attorney. However, an attorney is up to the individual party and often recommended by your agent, so do not think having an attorney is a negative by any means. It protects you in many ways beyond a standard contract. So in this case, because there is a real live attorney involved, that 3 day period is obsolete. Instead the attorneys review the contracts until they are satisfied which could day any given amount of days. Once happy with how the contract reads, seller and buyers sign and the attorney review period is over. There are some excellent real estate attorneys in the area, your realtor can often refer you to if you decide to use one. If you find one on your own, just be sure that they are truly a real estate attorney and in the state you are purchasing. All state real estates laws differ and for your protection you want to be sure to have someone whose skill set is a match. So now the attorney review period is over and this is not an “as-is” property, therefore you have 10 days to do your inspections. Depending on the homes location will vary the type of inspections. It is always recommended at the very least to have a general home inspection and pest inspection. In other cases well, septic, oil tank, bulkhead, etc might be suggested. These inspections will be done and generate a report.The reports will be used to request any repairs you would like made prior to settlement and a negotiation process will be made for this. An addendum will be drawn up to acknowledge these repairs. Other things going on between now and settlement may also be request of things needed by your lender to process your loan. All of the contracts will also be sent to a title company who will began the process of getting ready to settle on your purchase and insuring clean and clear title, to which you may hear from this representative if they need any additional information. And finally, in some situations you may be involved in the repairs undertaking. But otherwise its a slight waiting game till the big day! Prior to settlement you will do a final walk-thru. This will be the last time you see the property before you own it. You will have a check list of things to do and look for, including any repairs that should be made. You also will receive a list of to-dos from the title company that include making sure all utilities are switched over to your name to avoid interruption and fees. You should always do this at least 2 business days prior to the scheduled settlement. And then, you are off! Time to buy your home!!! Comments Off on The Home Buying Process: Found Your perfect home! Now what? You are buying a home in South Jersey, for the first time. It’s the biggest, probably most expensive purchase of your life. And unlike buying a car or furniture or even a puppy, you don’t just pick it out, ring it up and pay for it. So what do you do??? First step to buying a home in South Jersey... DO.NOT.PANIC. We help first time buyers all the time, and trust me when I say, you’ve got this. And besides, what is the most important purchase of your life should also be the most exciting. Second step to buying a home in South Jersey is find out how much you can spend. It’s a very simple process of contacting a local lender, or even your bank or credit institution. Tell them you are considering purchasing a home and they will help you come up with the price point you should look at. They will take into account your income, your debt, your credit score, your savings accounts and more. Then they will give you a pre-approval letter that will be used for making offers. If you need a lender most realtors have a handful they would recommend too. Third step to buying a home in South Jersey is to compose a realistic list of what you are looking for. Now that you know how much you can spend, where do you want to spend it? What kind of home do you want; single family, townhouse, condo, rancher, etc? Do you want a move in ready home or would you like to invest in a home you can fix up a bit yourself. Do you need a garage? Basement? Any preference on yard size or particular neighborhoods? The more details the better. And if you are purchasing a home with another person, talk with each other and get on the same page as much as possible for your list. Final step to buying a home in South Jersey, armed with your pre-approval letter and your list of must have items, contact your local realtor. (((drop subtle hint here))) I know a pretty good one if you are looking, give me a call and I will get you touch with her or just call 609-923-2735. Subtle, right? Truthfully, you should interview realtors, ask them questions regarding their experience, how long they have been doing this, how many transactions they have a year, etc. You want to feel comfortable with your realtor, feel like your best interest are of utmost importance to them, and have personalities that jive. Remember this is the most important purchase you are making and it should not be left in the hands someone that you feel uncomfortable working and communicating with. So once you find that realtor they will most likely set you up on a “drip”. This will provide you with an automatically generated list of daily updates of any homes that meet what you are looking for. They can be sent directly to you and from there you can start your shopping! Should you rent or buy a home in Mount Laurel? Let’s look at some real word numbers and see how they shake out. Often the answer to the question “why rent in mount laurel” you will hear “because I can’t afford to buy a home in Mount Laurel”. Hmm, I wonder why they feel that is the case. Have you ever, as a renter, really thought about where your money is going? If you have not, let me enlighten you a bit. Essentially your rent, in most cases, is paying the owners mortgage. So the average 3 bedroom rent in Mount Laurel over the last 6 months has rented for over $1,700 a month. This does not include any utilities or other smalls fees a landlord may require. Majority of these rentals are found in one of the many desirable town home and condo complexes in town. 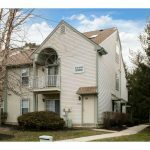 As a landlord these properties are so easily rented because of the same draw and desire a buyer has to the Mount Laurel area: stellar schools, easy access to major commuting roads, location to shopping and entertainment, and an overall wonderful place to live. So when you dig a little deeper and look at the average cost to buy a home in Mount Laurel (same 3 bedroom townhouse) you will find that average final sales price is around $238,133. Right now, with rates still low this is an affordable monthly option. In fact, if you were to take that sales price on a 30 year mortgage with no money down and an interest rate of 4.25% your monthly mortgage fee would be about $1,171. $1,171 plus taxes and insurance a month verses $1,700 in monthly rental fees. So it brings us to an interesting question…why rent your home when you could probably truly afford to buy a home in Mount Laurel. The U.S. Government has backed a loan program through what is called USDA Rural Development (RD). It offers terms to give a low-income borrower the ability to purchase homes in rural areas. It almost sounds too good to be true, and the options of USDA are not just for purchase options but refinancing as well. They are fixed-rate and fixed-term loans with a maximum base loan up to 100% of the appraised value- and in some cases you can finance up to 2% over the appraised value. So now, you found the home of your dreams in one of the eligible rural areas, and you are approved for a loan to purchase this property. What about closing cost? Well the good news is that in some transactions even those can be financed as well as other prepaid expenses. And this purchase option of a USDA property is also great for those who may not have perfect credit as there is a low minimum credit score requirement and flexible credit terms, not to mention the ability to substitute a lack of credit history for a nontraditional credit substitute. So before you give up hope on ever owning your own home, or settle for a less than desirable rental option let us help you, you will be shocked when you see the areas USDA is accepted. 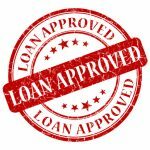 We work closely with an expert lender who handles these types of loans. Once you provide him with your basic information, he can let you know if and what you are approved for that same day. It is truly as easy as it sounds, and we will help you through every step of the process. So here is step 1, give Matt Prizzi a call today at (856) 985 9944 x104 or send him an email mprizzi@EveshamMortgage.com. He is well versed and been in the business a long time. And if find you are not eligible at the moment, he can help give you some steps to assure you get yourself set up in the future for home purchasing. And once you are approved, let’s get you started on the path to being a home owner! Fleetwood Elementary School is one of Mt. Laurel’s beloved and award winning elementary schools. With over 350 students grades K-4, as well as low-cost preschool programs, if is obvious that many pick their home so to be situation within this district. In fact, Mt Laurel is lucky enough to offer inclusion to some of the preschoolers with disabilities, giving them opportunities to learn right along with their peers. This is a wonderful opportunity for our children to be able to have these resources so accessible. When my children were young, they went to Fleetwood Elementary School; I was very much involved with the PTO and have watched these amazing teachers start to finish in some of their careers. It was a wonderful community for children to be a part of then, and is even more so now. The amount of activities the school has for the children and parents is extraordinary. Everything from family races to “Ladies Night Out” to well orchestrating fundraising events. Many home buyers often ask about the schools and their successes. I always recommend doing homework yourself and visiting the Department of Education website for New Jersey. There you are able to find the Performance Reports for each and every district. It a great tool to determine if you the district’s schools you are considering meet your standards. They are factually driven verses some of the sites you will find when searching, that provide opinions on performance. Mt. 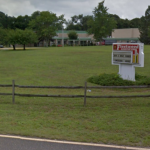 Laurel schools have for many years been a driving force for many of the communities, and Fleetwood Elementary School is a very favorable elementary school in my opinion. When searching for a home, know that it encompasses the neighborhoods of Timbercrest, Rancocas Woods, Devonshire, and all the streets in between these main neighborhoods. If you are interested in a home within the district I would be more than happy to help you, as well as connect with the tools to get registered in the schools and get involved with the community. You will not regret the decision to make this area your home! Rancocas Woods is a small community on the northern edge of Mt. Laurel, with the average house being 3 bedrooms, 1 bath. Over time many of these homes have been expanded, so don’t be surprised if you find a home larger than that. And why wouldn’t you expand when many of the lots are .25+ acres and backing to beautiful untouched wooded sanctuaries. Easy access to both 295 and 38, and nestled between exits 5 and 6 on the NJ Turnpike, it’s a commuters dream. 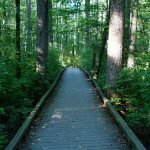 Originally Rancocas Woods was built as a vacation spot for New Yorkers/ North Jersey folks that wanted to get away from the hustle and bustle of their lives, you will find some homes are situated perfectly to give you just that. The relaxing sounds of nature, large shading trees, and in some cases water edge lots. Running behind the Rancocas Woods neighborhood is the Rancocas Creek and the neighboring Rancocas State Park. A quick ride can have you exploring nature trails throughout over 58 acres of preserved land, access to guided tours, camps and more. Situated on Creek Road is the Rancocas Woods Shops. Originally an amusement park setting for those vacationers, in later times this stretch of businesses became more of an every day type of storefront. A quaint village of mom and pop owned facilities, weekend craft and antique shows, rare finds, and good eats were among the village. As the economy turned it seemed as though these small businesses could not survive and one by one closed their doors. Luckily, a real estate developer has recently purchased the properties and is rumored to have big plans to revitalize what was for years a highly trafficked spot for local families and visitors. As these plans develop and become known, I will be sure to update you. In the mean time, those who are familiar with this developer and his successes in the past, are anxious to see what the plan is. Driving through the Rancocas Woods neighborhood you will see many homes being recently renovated and updated. The price of homes sales is steadily increasing making this a great area to invest in right now. So if you are looking for an opportunity such as this do not delay! Buyers, be aware we have found perfection in the Timbercrest neighborhood of Mount Laurel, New Jersey. Timbercrest is a commuters dream location, quality homes, award winning schools, and a neighborhood that really is full of some amazing people. And I know this for sure, because I live there myself and can say whole heartedly that I have the most wonderful neighbors. Timbercrest, a small gem in Mt. Laurel consisting of over 200 homes, surrounded by mature trees, wide streets, and community that defies just that. Between holiday parties, mom groups, and neighborhood wide events, you can’t ask for much more. All of this at an affordable price currently between $300-350k and climbing, for a 3-4 bedroom home. Sellers, this is for you too! What a remarkable event as we just sold the highest selling home in the neighborhood for the last year at $368,000! This is wonderful news for anyone looking to list their home soon as the mortgage rates for buyers are still low, but so is the inventory of homes in the area. Do not miss your opportunity to capitalize on the upcoming Spring market. If you have any questions or are interested in an evaluation of your property please give me a call. Who knows best on how great Timbercrest is for a place to call home, than a realtor who does just that. So if you are a buyer looking, I may have a listing perfect for you. And sellers, if there is one thing I am good at it is selling homes in our neighborhood with confidence. 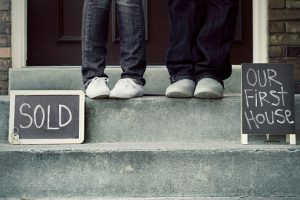 I would be more than happy to help guide you through any steps to get your home ready to list for this exciting market.